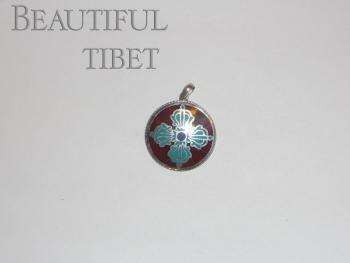 Coral and silver pendant with viswa vajra design. It symbolize destroys all evils and ignorance. Coral is known to be beneficial in taming tempers, removes depression and good for spiritual balance.